I’m continuing my series on hepatitis by focusing this week on hepatitis A, which is a virus that causes a highly contagious liver infection. This is an acute form of hepatitis, although symptoms can last up to 6 months in some cases. 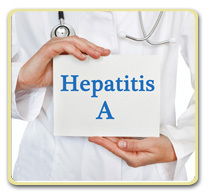 Most people who become infected with hepatitis A will recover completely with no permanent liver damage. There is no chronic form of hepatitis A.